The Devil's Hand DVD release date was set for December 16, 2014. 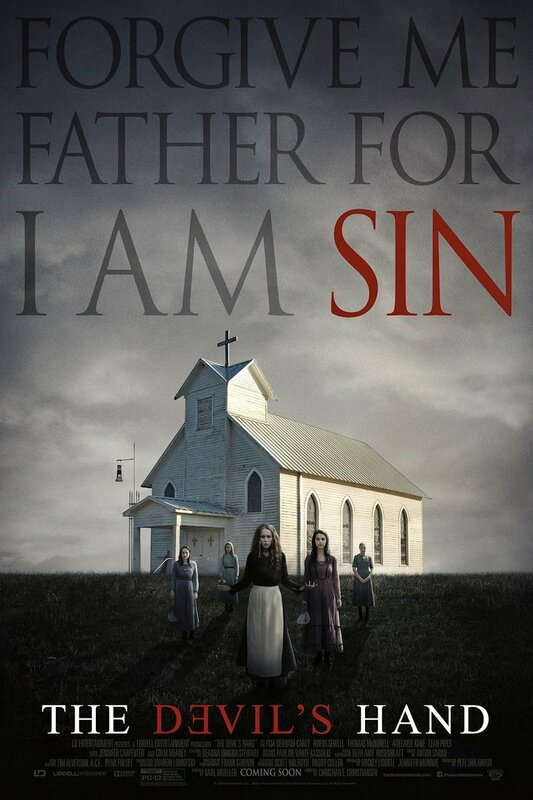 Centered around the mysterious disappearance of young girls within a religious cult in the village of New Bethlehem, this is a tale of deception, mistrust, and suspense, which unfolds as older followers within the religious cult fear the fulfillment of a prophecy made years before involving the devil's possession of girls' souls the night before their 18th birthday. Younger religious cult members, less convinced of an evil prophecy, suspect a cover-up involving murder from abusive elders within the cult.